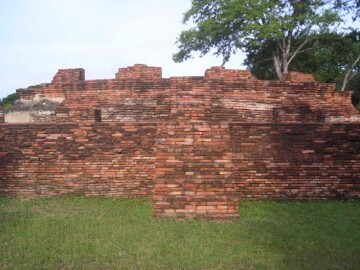 includes three restored ruins including Wat Worachetharam and Wat Lokaya Sutharam. 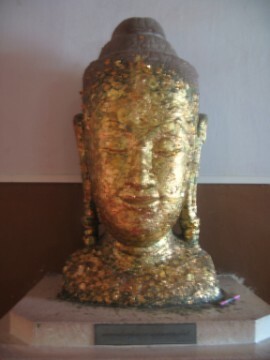 partially visible from the road. beside U-Thong Road. 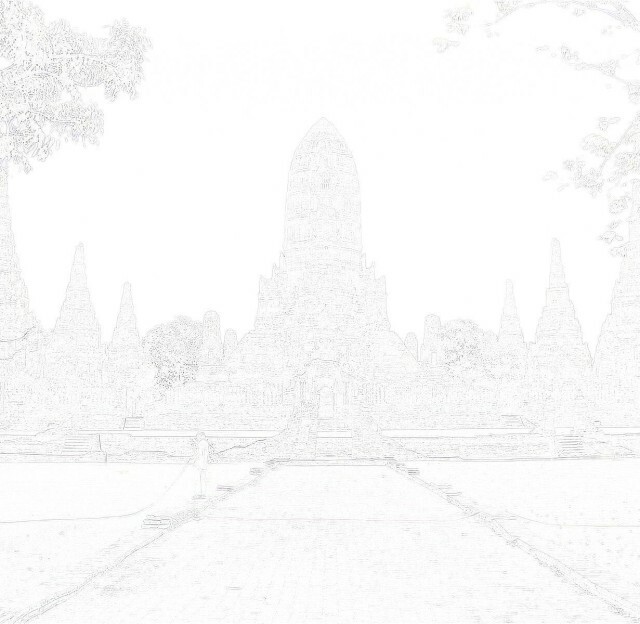 For this research, the two monasteries are considered separate. 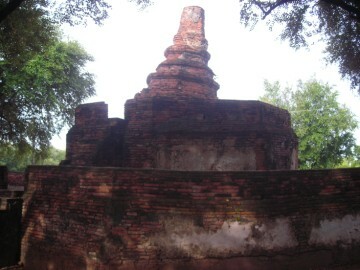 Rakhang. 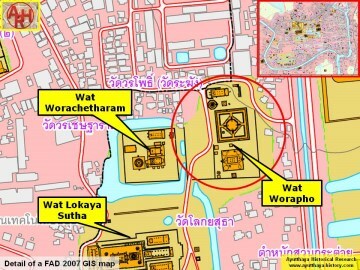 Additional details can be found at the link for Wat Worapho. corner of this sermon hall. 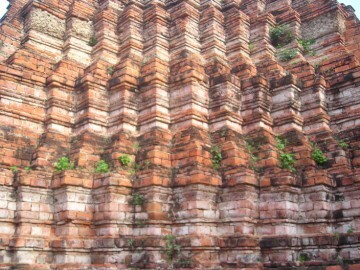 Wang Rakhang, but this has been partially covered by a road. 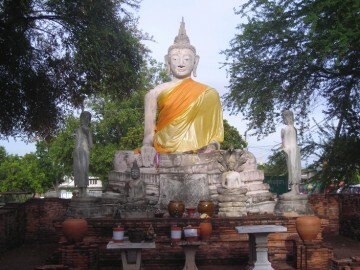 with a sandalwood club at Wat Khok Phraya (Cushman 207-208). to Sri Lanka (Cushman 471). 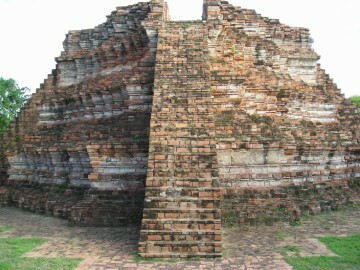 historical events may have taken place at this second temple instead. 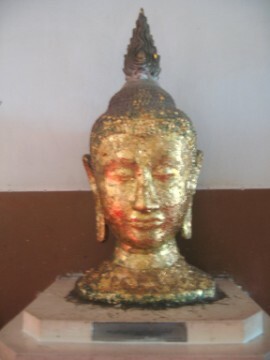 the rank of Phra Rachakhana and bearing the title of Phra Phimontham Anantapricha. 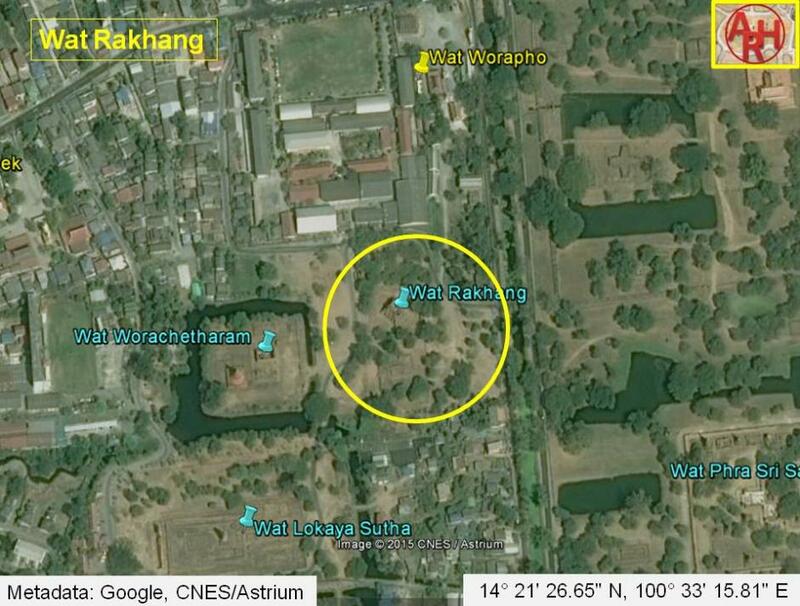 Wat Rakhang or the Monastery of the Bell is located in Geo. Coord. 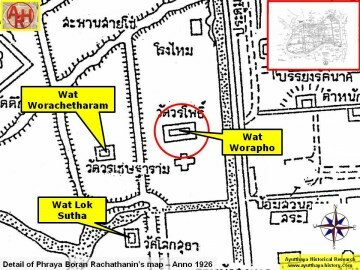 : 14° 21' 26.65"
N, 100° 33' 15.81" E.
Bangkok (2000) - page 203 & 367. 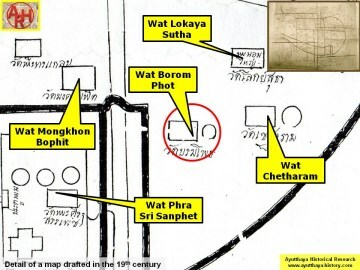 Thailand Foundation - page 195.